How to optimize and speed up your order processing? This is the question that every webstore owner should be asking themselves. 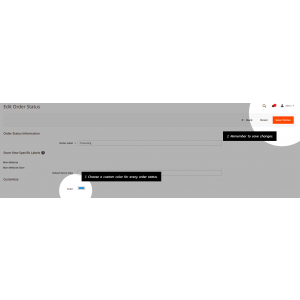 Magento 2 default functionality doesn’t allow managers to customize the order grid and make it more convenient for them. BelVG has taken this into consideration. We have created a super useful and simple free back end extension for Magento 2 webstores. A large number of orders is a dream of every webstore owner. But at the same time, every entrepreneur knows how hard in that case orders control could be. Install BelVG extension to prevent Magento 2 managers from a headache caused by multiple orders and statuses. 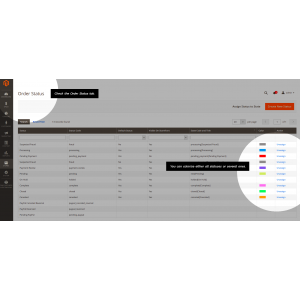 By using this free Magento software, you can assign any color to show the status of each order. The process of plugin configuration is intuitive and clear. All in all, it will take you just a few clicks and literally one minute later you will set up the module. Well, if you are a picky person and perfectionist it may take a little longer. 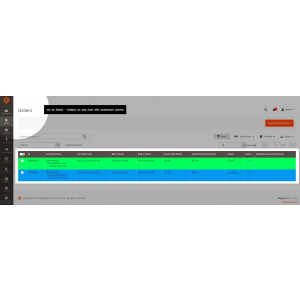 As a result, you get a custom order status and an illustrative order grid that meets all of your needs. Configure order status with customized colors. As a webstore manager you will be able to set up special color for every order status, choose one color for several order types or leave some statuses blank if it is needed. It all depends on your choice and comfort. Optimize order processing. Once you install and configure the extension, there will be no need for staring at the order grid, seaking for pending or cancelled orders. This free BelVG extension gives you an opportunity to identify the status of any order at a glance. You will definitely appreciate it when managing your webstore via a mobile device. Update all created order statuses. All your orders will be automatically updated and colorized according to your settings. Easy-to-use extension. This Magento 2 module has intuitive setting. It is extremely easy and fast to configure. Video instruction. We created a short step-by-step video guide to make the configuration process as clear as possible. Orders section in customer information. Webstore user friendliness and usability are always associated with customers, while Magento 2 admin comfort is something that is ignored. BelVG has created this free back end extension to make the webstore more admin-friendly. Its clear functionality will facilitate webstore owner work and turn this extension into an indispensable addition for every online store. Moreover, this BelVG module is absolutely free, so you will lose nothing in case you give it a try. 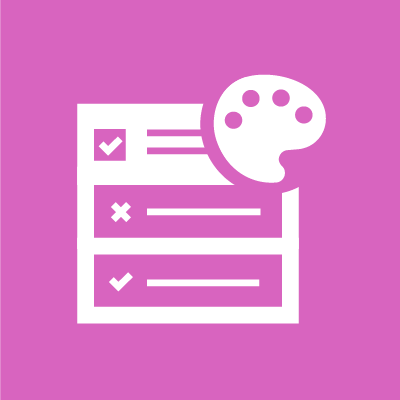 How can Color Status Order extension help my webstore? 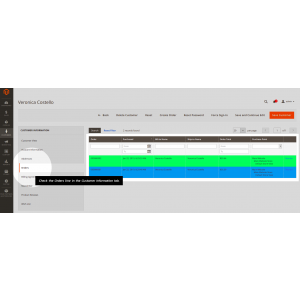 This free back end module will help you to make the order grid of a webstore more informative, illustrative and user-friendly. This, in turn, will speed up management process and make it easier for admin. How many colors will I have? In this extension we use hexadecimal colors. They are supported in all browsers and devices. The number of color combinations you can create with the help of this system is more than 16 million. Can I assign one color for several order statuses? Yes, it is possible to use one color for different order statuses. For instance, you can collocate complete and closed orders and color them in one tone. You can also leave some statuses without any color if you want. Is it possible to sort orders by color? Unfortunately, this function isn’t available in this extension. But you can contact us any time and we will improve extension functions according to your request.